SuperSeal® was developed as an economical, fast-drying sealing agent for a variety of porous surfaces including gypsum plasters, concrete and wood. 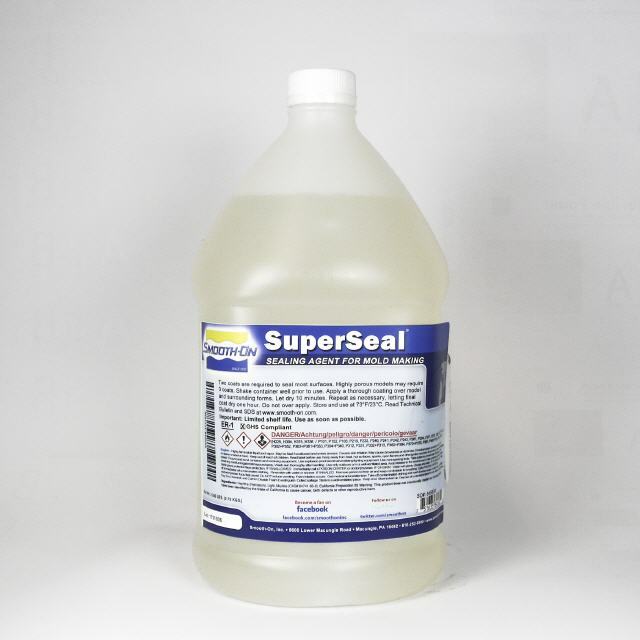 This sealing agent will quickly and effectively seal surfaces without interfering with surface detail. The new formula offers better performance and faster evaporation. Mold rubber (polyurethane, silicone or polysulfide) can then be applied. Safety - CONTENTS FLAMMABLE: Keep product away from flame and all ignition sources. Use in a properly ventilated area (“room size” ventilation). Wear safety glasses, long sleeves and rubber gloves to minimize contamination risk. 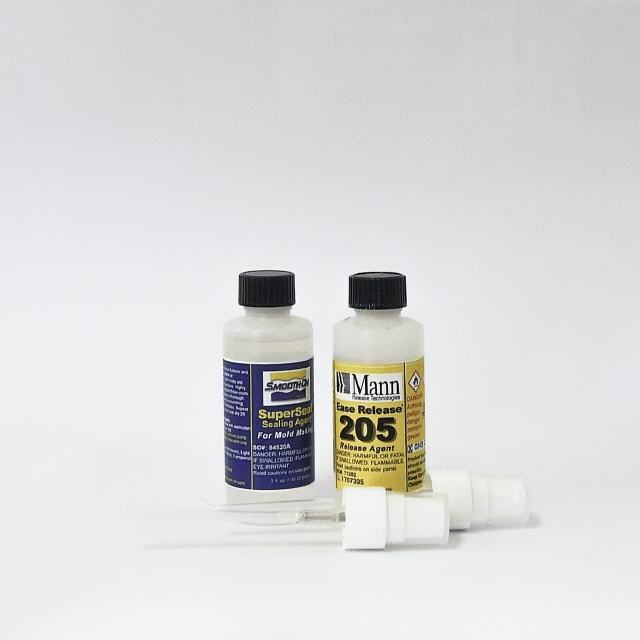 A minimum of 2 coats of SuperSeal® is recommended to seal most surfaces. For extremely porous surfaces (i.e. limestone or dry plaster) an additional coat of SuperSeal® may be required. Or apply two coats of SuperSeal® and follow with an application of Ease Release® 200. 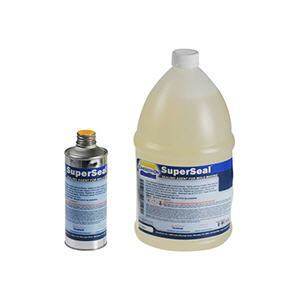 Superseal® can be applied using a soft brush or a non-aerosol spray bottle to lightly mist SuperSeal® onto model. Apply a thorough thin coating of SuperSeal® over entire model surface and surrounding forms including intricate detail and undercuts. Compressed air or a hair dryer may be used to blow off any excess that has pooled. Let dry for 5 minutes. Repeat above 1 - 2 more times and let final coat dry for at least 1 hour. If recommended by mold rubber manufacturer, apply a light mist coating of release agent (i.e. Ease Release® 200). Because no two applications are quite the same, a small test application to determine suitability for your project is recommended if performance of this material is in question. Important: Discoloration of model surface may occur. If compatibility between SuperSeal® and model surface or SuperSeal® and a particular mold rubber is a concern, a small-scale test should be made on an identical surface prior to use.